Inscoper is a turnkey hardware solution that completely revolutionizes the way fluorescence microscopes are controlled in live cell imaging. Today, microscopes and their devices are connected to computers and controlled by acquisition software, such as Metamorph, Micro-manager, LAS-X (Leica), NIS (Nikon), Olympus Stream, and Zen (Zeiss). Installed on a PC, this software runs on the Windows operating system. 2/ Device Control: to communicate with the different devices in the microscopy system, and run the acquisition sequence defined by the user. This separation means the Inscoper User Interface is free from hardware constraints. 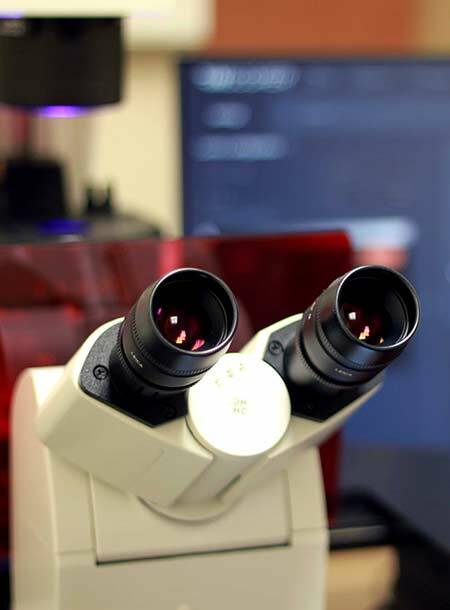 So, regardless of the type of microscope, the Interface remains simple, easy to use and focused on user requirements rather than hardware issues. The Inscoper approach involves embedding the Device Control functionality in an electronics box. This dedicated box has been designed to communicate with devices in the same way as hardware to control them as quickly and reliably as possible. This solution eliminates all latency caused by the operating system and the multiple software drivers needed to communicate with the devices. To obtain the best microscope performance, the key is not to run the acquisition sequence on the computer. The Inscoper solution can be used for Multi-Dimensional Acquisition (MDA) with all the widefield and spinning disk confocal microscopy systems on the market: Leica, Nikon, Olympus, Zeiss. 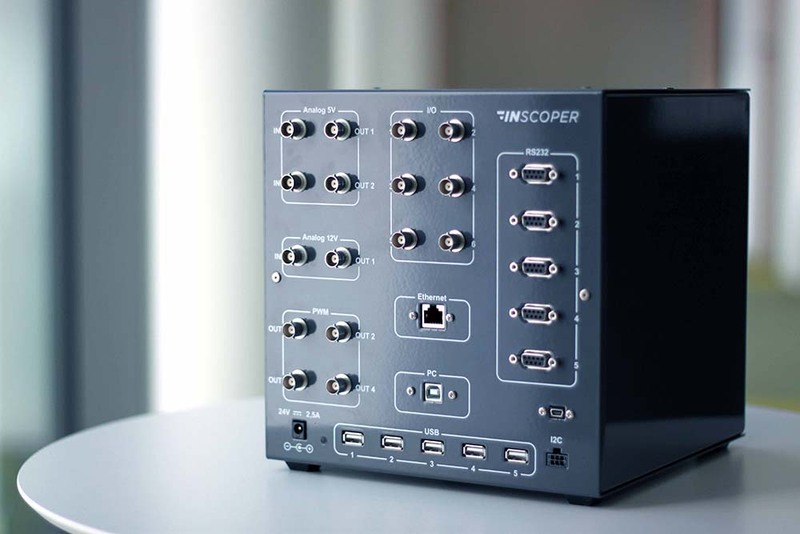 with all connector types, Inscoper can control any device (e.g. camera, illumination, stage) that you already own, or want to purchase. Within hours, Inscoper can implement all devices, from old releases to the very latest ones that have not yet been integrated by other conventional software. 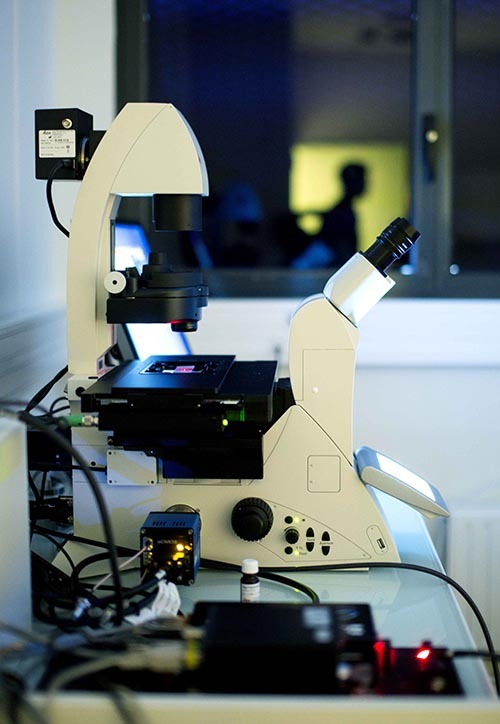 In fact, even devices that have never been used for microscopy purposes can be integrated, regardless of the connector or communication protocol. This unique feature makes Inscoper the perfect tool for researchers or engineers developing new microscopy techniques. Ease-in-use, elegant, simple and intuitive Inscoper interface for microscopy control and image acquisition allows pleasant work and effective and constant results. The Inscoper control and image acquisition solution can obviously equip any new microscope for multidimensional acquisition. However, researchers and microscopy facility managers do not always have the budget to buy a complete new system. But they often have “old” microscopes that are no longer used. 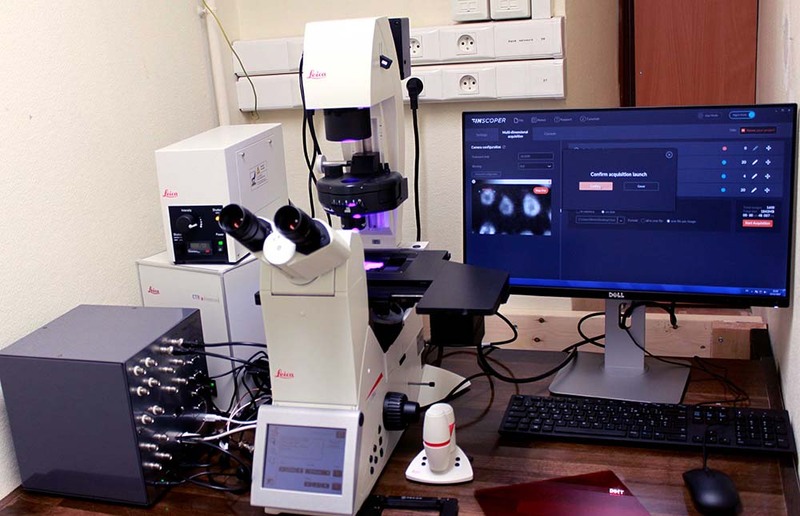 Restoring an outdated microscope, making it easy to use and far faster compared with even a new commercial setup is certainly a viable option when its optics and main components are still in good working order. Like in other industries, we call this retrofitting. Users view the high-performance retrofitted microscope as they would a new one but it costs much less budget-wise. Does this not look like a win-win deal?! Some microscopy devices have been specially designed by their manufacturers for high-speed operation. But using them with conventional microscopy software means this feature is almost impossible to implement because of the latency generated by both the Windows operating system and software driver. Please contact us if you’d like to integrate and test your device with our control solution. We just need the device’s datasheet or Software Development Kit (SDK), and a few hours to install it. Then you will be able to offer your customers a solution that can run your product at its maximum speed. Some manufacturers in other industries are keen to roll out their products on microscopy systems. We know how costly and time-consuming it can be to develop software drivers, and are aware that microscopes are much more complicated than most people think. We may also be able to help you, so feel free to contact us.